Moving brings with it a lot of stress. And as you pack up your possessions, your house can quickly become filled with boxes. Rather than allow those boxes to clutter up your house, why not move them into a self storage unit in Adelaide? At Klose's Removals & Storage, we can help with both house removals and self storage in Adelaide and the surrounding suburbs. Whether you are moving across town or across Australia, rely on our services to make your move easier. 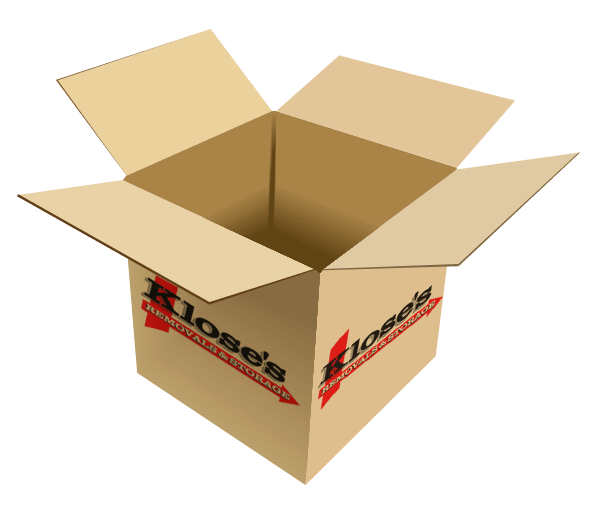 Here at Klose's Removals & Storage, our goal is to provide you with exactly what you need. We have 10 different sizes of units so that you don't have to pay for more than what you need, and we charge on a weekly basis so that you don't have to commit to a long-term rental. If you are planning on storing your belongings for an extended period of time, you can receive a discount for paying 6 to 12 months in advance. You can choose to transport your items to your unit yourself, or you can have us pick them up and drop them off for you. Our service area includes all of Adelaide and the surrounding areas, so we'll be able to pick up your items. As a house removals company, we have all the equipment necessary to safely transport any item. No matter your specific storage needs, we can help. Take a look at the size and pricing chart below and make sure to call us with any questions. We understand how important your belongings are to you. That's why each unit is guarded by 24/7 video surveillance. We also make sure to treat your items with care while transporting them. Take some of the stress out of your move. Rent your self storage unit today by using the links below the chart to send us a message. You can also reach us by calling (08) 8281 1977. We're located in Salisbury Plain, but we serve the entire Adelaide area. Klose's House Removals and Storage in Adelaide offers you a safe and secure way of storing your excess items while we handle your house removals. All secure self storage units are under constant security surveillance. 8 am - 5 pm, Monday to Friday. Closed on all long weekends and public holidays. When you rent a storage unit, you will sign a rental agreement for the space you need. Once the agreement is signed, you can put your own padlock on the unit, and keep the keys. While your house removals take place, you'll have your own safe space to store them right here in Adelaide. We recommend that you insure your items, because they are not insured by Klose's Removals and Storage. If you don't already have insurance, our friendly team can help you with low-cost recommendations. You pay a weekly rental fee for your secure storage unit. 1 x month's rent in advance. You can then choose to pay weekly or for bulk fees paid in advance. If you choose to pay 6 months or 12 months in advance, discounts apply. Specifications for each of our storage units are below. If you are not sure what size unit you need, we can help. Our team is highly experienced in estimating the space required to move and store items. Call us today on 08 8281 1977 for help in deciding which size storage unit will serve you best during your house removals.